When Melody Mganga's car broke down, she couldn't afford to buy another one. However, without a vehicle, she couldn't make it to interviews for a full-time job in order to earn money for a new ride. CHARLOTTE, N.C. -- Navy veteran Melody Mganga was in a difficult situation. Her car broke down, and she couldn't afford to buy another one. However, without a vehicle, she couldn't make it to interviews for a full-time job in order to earn money for a new ride. Melody did the best she could, using public transportation and Uber to get around. Both methods had disadvantages. The bus wasn't always on time when she had to be somewhere, and Uber rides were not cheap. "Some of the decent, better-paying jobs are not on bus routes. Or you may have to do something else depending on what the job is. I might have to go somewhere else or deliver something so it's important to have your own transportation," Melody said. On Thursday, her problem was solved. With her two children by her side, Melody was presented with a newly refurbished car as part of the National Auto Body Council's Recycled Rides program. 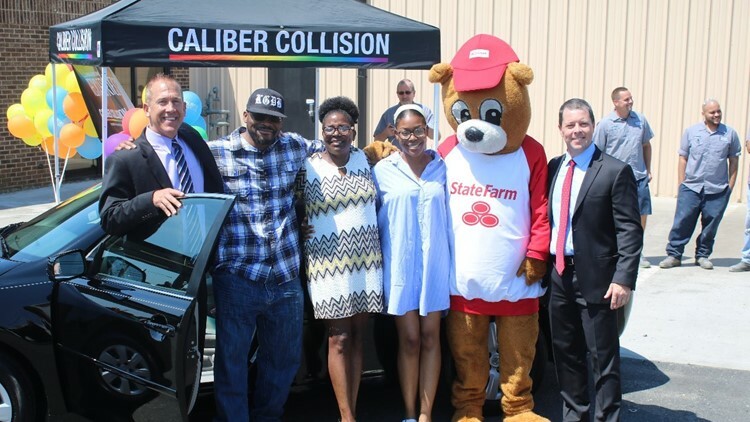 The event was a collaboration among Caliber Collision, State Farm and Veterans Bridge Home, where Melody is employed part-time. "Most of us get up each and every day, and we just get in our car, and we go to work, or we go take our kids to school, or we go to the store, and it's just normal," said a State Farm representative. Melody's two children, daughter Malkia and son Kilua, said their mom was well-deserving of the special gift because she has a big heart. "We always have people in our home because she always wants to bring people in and take care of them," said Malkia. Melody served six years in the Navy, four years active and two years reserve. Most of her time was spent at Andrews Air Force Base. Her family said she loves helping people. "I know that she's going to do so much for the community with this car. She's going to bake stuff and take it to people. Yeah, this is amazing. I'm so glad that they did this for her," Malkia said. 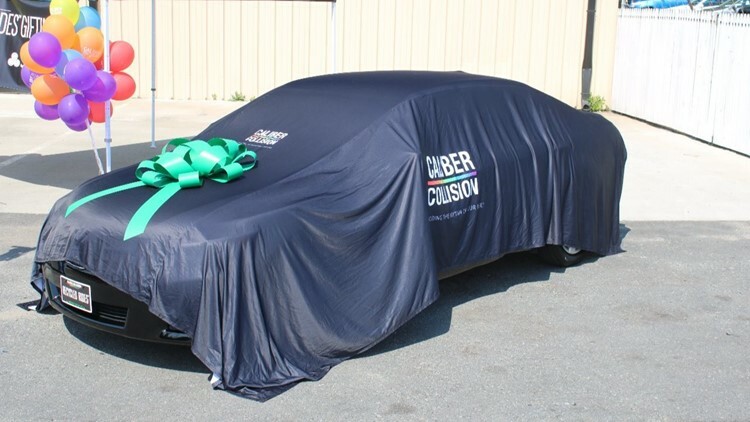 Melody's car was provided by State Farm and refurbished by workers at Caliber Collision-Pineville. "I'm just overwhelmed. I'm overwhelmed, just at the presentation, at the people who were involved, all the people who had good things to say about me," said Melody.